Pioneer POS has annouced that they are now officially ISO 9001:2008 certified by finishing the certification 2 months ahead of schedule. The ISO 9001:2008 audit was performed by the ANSI-ASQ National Accreditation Board (ANAB) accredited Registrar. The ANAB is a signatory of the International Accreditation Forum (IAF), and multilateral recognition arrangements for quality management systems and environmental management systems. This certification helps Pioneer POS to continue to deliver top performance in the retail, hospitality, kiosk, and healthcare industries. The ISO 9001:2008 certification shows the quality of Pioneer POS hardware products and their ever expanding international reputation for excellence and dependability in the POS industry. Pioneer POS, announced that the Pioneer POS Stealth S-Line with built in Epson printer has been approved for use with Biztracker POS hospitality software. Michael Flores, Business Development Director at Pioneer POS said that “Pioneer POS is excited to announce the certification of our S-Line all-in-one terminal with built in Epson printer for use with Biztracker POS software”. Michael also added that, “Both Biztracker and Pioneer POS offer state-of-the-art POS solutions. With a solid position in POS markets, our customers can trust they are getting quality from companies that have a solid track record with reliability. Now available in a white bezel option, the Pioneer POS StealthTouch-M7 offers the versatility to meet the needs of virtually any application. The state-of-the-art 17″ touchcomputer provides more and faster connectivity: a Broadcom 10/100/1000 BaseT network, 1 Parallel, 4 Serial, 6 USB, plus 12 volt and 24 volt poweredUSB ports that eliminate the need for an additional power supplies. Ideally suited for healthcare, the M7 can be easily wall mounted and has a depth of less than 3 1/2″. The StealthTouch-M7 also offers wireless RF 802.11 for mobile applications that utilize a cart and a built in webcam to allow for remote patient interface. For applications that require added security, the webcam also offers facial recognition plus an integrated privacy filter to protect sensitive patient information. 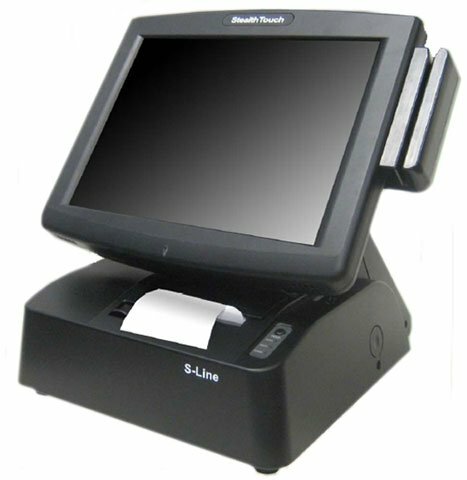 The M7 is spill resistant and offers a variety of add-ons including a magnetic stripe or barcode slot reader, biometrics fingerprint reader, 10″ LCD dual display, and proximity RFID reader.